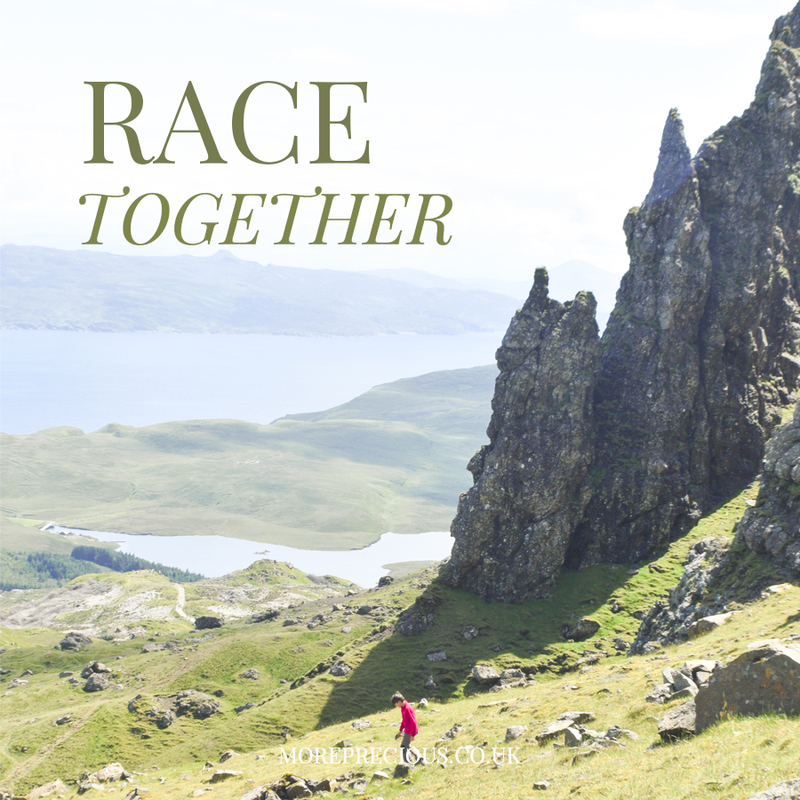 From peace, to discipline, to holiness, Hebrews 12 takes us on a deep and impactful journey, showing us what it looks like to race towards the end goal. Today we're exploring what it looks like to race together in the pursuit of holiness, towards God himself. When I was five, I was playing on the floor in my grandparents’ house. My Grandpa was a formidable 6 foot 6 and had a voice like an old wizard. As I was sitting and playing, I suddenly hear this giant man bellow “ABIGAIL!” ... I immediately burst into tears. Turns out, I was moving perilously close to an open fire, and had reached out inches away from the flames. It took me months to stop being scared of my Grandpa, because I couldn’t understand that he shouted out of love. Grandpa had an understanding about the risks involved at that time, and prioritised my safety. And this is what the writer of Hebrews is asking from us. We are called to be holy because God wants us. “Without holiness no one will see the Lord.” God wants us to be holy because then he can be with us. He strengthens us to run the race of holiness described in Hebrews so that we can run into his arms and share in his holiness. Earlier in the chapter, the writer talks about Jesus fixing in his eyes on ‘the joy that was set before him’ (v2). What was that joy? It was being with his Father, sharing in his holiness, and seeing Him face to face. When we truly grasp the wonder of this, we will not only find prioritising holiness over temptations far more natural, but we will seek to see the same in others. So how do encouraging others to be holy and living in peace go together? I’ll admit I’ve rarely found the experience of giving or receive a rebuke particularly peaceful, it can often be quite tense, hostile and even result in conflict. Perhaps it reflects our attitudes to God’s power over sin. When we think of peace, we often think of the end of war. But would the losing side consider it peaceful? Their land occupied, their lives under rule of a foreign people. Technically no war, technically peace. But true peace is only really experienced by the victorious. And this is what we have. Victory over sin. We can live in peace with each other because, through Jesus, we have won the war. Let the comfort of that truth soften your hearts the next time you find yourself encouraging or being encouraged to live in holiness. At this point in the book of Hebrews, we get a glimpse of a very specific story. So what happened? Esau was a horrible man who came home one day to find his brother, Jacob, cooking a red stew and it made him hangry. He demanded some and Jacob made a deal: I’ll swop the stew for your inheritance. Esau agrees. When the day came for the traditional father-oldest son blessing, Jacob dressed up and got Esau’s blessing instead of him. Esau was furious and never got over it. What is it for you? Popularity? Some fast cash? A better grade than her? My answer would change day to day. Last week, I bailed on a prayer meeting because I wanted to watch Take Me Out. Last year, I gave up having a quiet time because I was busy planning my wedding. One rather trivial, one rather significant. But in comparison to the privilege of being a daughter of God, able to “see the Lord” and experience “the grace of God”, both are red stew. Ask God to reveal your priority as 'red stew' today. To comfort your heart in the knowledge that we have victory over sin and can live in peace with one another as we run together into our Father’s arms. Abby joined the More Precious team two years ago as Operations Manager, overseeing series such as our Mental Health Awareness Week project. Abby is passionate about helping girls to grow in the knowledge that we are all broken and needy, but that we have the comfort and strength of Christ overflowing in us.